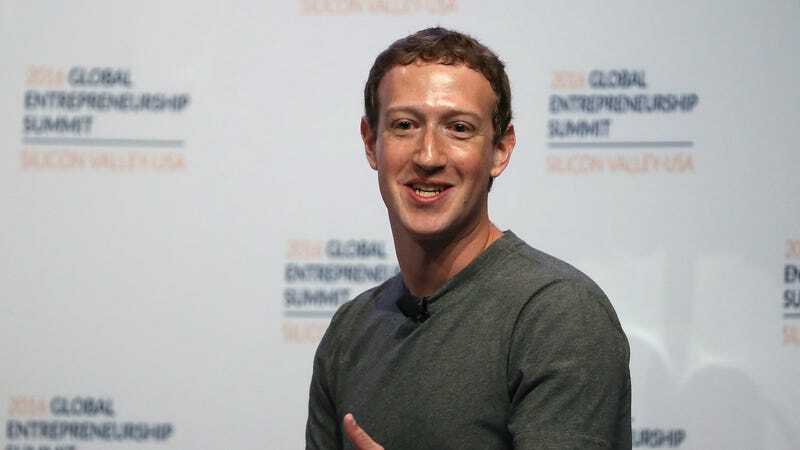 You might think that since Mark Zuckerberg created Facebook, he would be good at using the site. Well, he’s not. His posts are awful, and there is literally no way to escape them. After seeing this Tweet, I tried to block Mark Zuckerberg on Facebook this morning, only to find that King Zuck is immune from Facebook’s mere mortal block feature. I could block Sheryl Sandberg, Facebook’s COO, and Zuckerberg’s wife, Priscilla Chan. But not Zuck. He is invulnerable to blockage. I had no problem blocking Obama or Oprah, but I cannot block Zuck. If you wanted to ensure that you never see Mark Zuckerberg awkwardly talk about Facebook’s year in review with Sandberg, or his downright awful scripted videos with his wife, I‘ve got bad news for you. Nobody is safe from Zuckerberg’s posts. If one of your basic friends shares one of Zuck’s posts, you must read it. There is no way to rid yourself from modern day atrocities like a 16-minute interview with Mark Zuckerberg and Vin Disel, or 30 minutes of Zuck grilling in his backyard. I tried to find other unblockable profiles to no avail. If you find any other Facebook profile that “can’t be blocked for now,” please send me an email at william@gizmodo.com. We’ve reached out to Facebook to find out why I can’t block profiles that make me feel physically ill, and we’ll will update this story if we hear back.